The designing nowadays has become the crucial and the most significant part of software life cycle model. The human and computer interaction has become much easier by implementing the design principles within the application. UI is termed as User Interface design whereas UX is termed as User Experience design. Both should not be understood as equal. User Experience design is followed by User Interface design. Let me explain these two terms in the easiest way possible. Suppose you have to prepare the delicious soup for dinner. The first thing you will do is collect the ingredients and then follow the steps to get the soup prepared. After that proper plating is done to present the dish in front of the guests. Now suppose that the guests didnt like the taste? Lets come back to our main topic now. The presentation of the soup can be thought as User Interface design and the guests reaction is nothing but User Experience which comes out due to lack of proper preparation technique. 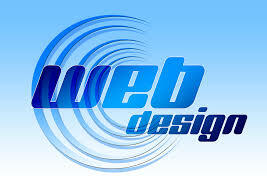 The User Interface design is the look and feel of the product and the User Experience is the designing structure. The user experience can be implemented using usability goals and the design principles in order to make the system easy to use for the end user. To make the above discussion easier let me explain by giving one more example. The user interface is the front end that includes color theme, font size and style used, other presentable features that help the user to interact with the application whereas the user experience design accounts for the stability of the application or how the user felt after using the system. First user experience design is prepared and the the user interface design is implemented as per the former.